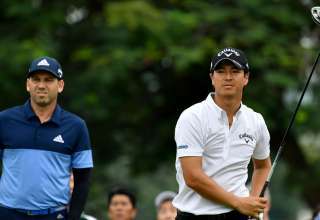 Halfway leader Yoshinori Fujimoto birdied the 18th in fading light on Saturday to card a 66 at the SMBC Singapore Open and take a one shot lead over young guns Matthew Fitzpatrick and Jazz Janewattananond into what promises to be a firecracker of a final round. 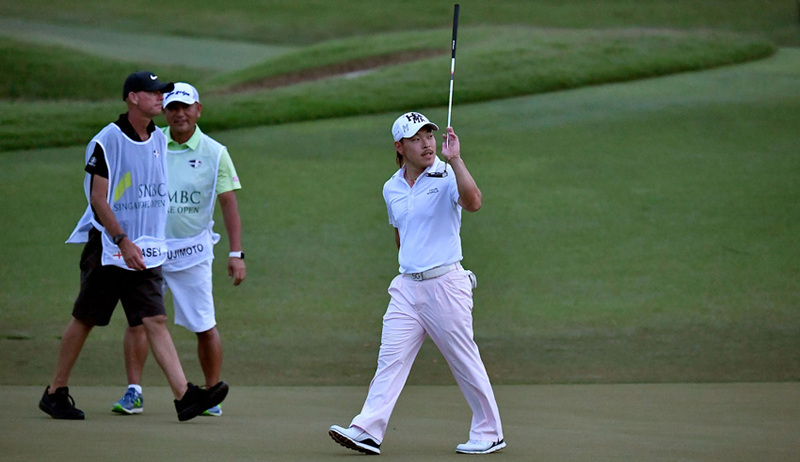 Japan’s Fujimoto, who played 29 holes on Saturday after finishing his second round earlier in the day, kept his composure to move to 13 under 200 for the tournament at Sentosa Golf Club. 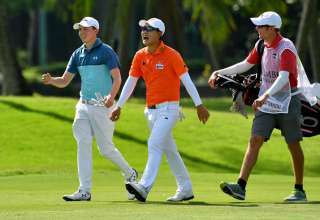 Thailand’s Jazz, a two-time winner on the Asian Tour, and world number 40 Fitzpatrick of England also birdied the final hole to shoot 65 and 66 respectively. “Everyone wants to win tomorrow. I want to win as well but there are really a lot of good players out here. If I keep telling myself to win this, I will put a lot of pressure on myself. I just want to play my game and keep hitting good shots and try to get one of the four spots for The Open,” said Jazz. 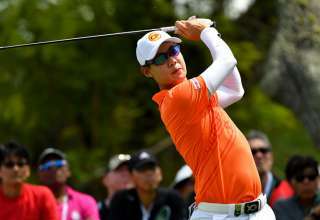 Thailand’s Chapchai Nirat renewed his love affair with the Sentosa Golf Club by holing a succession of monster birdie putts on his way to a 66 while world number 24 Paul Casey of England spectacularly eagled the last hole for a 68. Chapchai and Casey are tied fourth with unsung Korean Doyeob Mun (67), three shots behind Fujimoto. 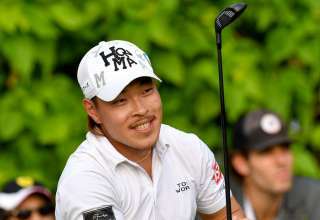 Fujimoto, a two-time winner on the Japan Tour who tied 27th at last year’s tournament, made a decisive move on the front nine with a superb eagle three at the par-five seventh and repelled his challengers with three birdies against a bogey on the back nine. His last victory came in 2013 and he has a string of runner-up finishes to his name since then including at last year’s Japan PGA Championship. Jazz, who turned professional at 14 and has improved his game in recent years under the tutelage of Pete Cowan, carded six birdies and no bogeys while Fitzpatrick impressed with his precision iron play and deadly putting. The 24 year old Fitzpatrick dropped his first shot of the tournament at the 10th hole but his seven birdies against one other bogey at the 17th kept him on the shoulder of Fujimoto. “I was disappointed to make my first bogey in 45 holes at number 10, but so it goes and I managed to fight back pretty well. I gave myself some good chances coming in, and took advantage of that, so I managed to get back,” he said. Casey, the highest ranked player in the field looked to have lost a bit of concentration with bogeys at 15 and 17 but a brilliant second to 10 feet set up his eagle at the last. “A great six-iron into the last in the darkness. Luckily, I read the putt when I got onto the green – it was still pretty bright. We had great lights coming out of the hospitality suite and the TV from the other side. 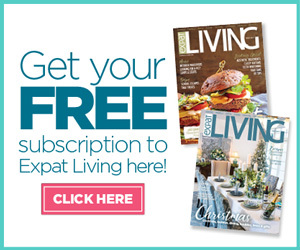 Yeah, I finished off good,” said the 41-year-old Casey. Thailand’s Poom Saksansin, winner of the Indonesian Masters in December, lost a bit of momentum before picking up a shot at the last for a 69. He is four shots adrift of the leader and two ahead of countryman Gunn Charoenkul who birdied the last three holes for a 67 and outright eighth. Defending champion Sergio Garcia left himself with a mountain to climb if he is to retain the trophy after an even par 71 saw him fall eight shots shots behind leader Fujimoto. He made the turn in 33 to lie just one off the lead but a missed par putt on the 10th affected his rhythm and he carded three more bogeys before finishing with a birdie. World Golf Hall of Famer Davis Love III birdied the par-five 18th for a 70 to keep alive his hopes of bagging one of the four available spots in The Open at Portrush in July. He is tied ninth on six under 207. Also on six under are the 2017 champion Prayad Marksaeng (66), his countryman Prom Meesawat (69), South Africa’s Shaun Norris, last year’s joint runner-up who shot a third round 70, American Kim Sihwan (70), Japan’s Shotaro Wada (71) and the player with one of the most viewed swings in golf, Korea’s Hosung Choi (69). The burly Thai, who first shot to prominence at the Singapore Open here in 2005 when he led after the opening round, started off by sinking a 20-footer at the sixth. Then he drained four in a row from distance for birdies at the 10th (50 feet), 11th (12 feet), 12th (25 feet) and 13th (15 feet) to move onto the shoulder of the leader. He joined Fujimoto in the lead with another birdie at the 15th before faltering with a dropped shot at the 15th and a par at the 18th. “I expected myself to putt well on the back nine. My putting was good. This is a golf course that suits my game. I had fun out there today,” said Chapchai.